Nespresso is a brand of espresso and coffee machines owned by the Nestlé Group, which is headquartered in Lausanne, Switzerland. The subsidiary sells its machines worldwide through various retailers and now also through its own online store at Nespresso.com. If you shop here you can get money of your order by redeeming special Nespresso coupons, which we list here on Coupofy whenever new offers and deals are made available. Jean-Marc Duvoisin currently serves as the CEO of Nestlé Nespresso. The first Nespresso system was patented in 1976 by Eric Favre, who was working in Nestlé's packaging division. However it wasn't until 1988 when Jean-Paul Gaillard came on board that the machine was marketed successfully. Since then the machines have been popular with both individuals and businesses. There are now several different types of Nespresso on the market. Nestlé also manufacture the capsules that contain their ground coffee, and due to patents it wasn't until recently that customers could purchase third party capsules. This allowed the company to make great amounts of profit. 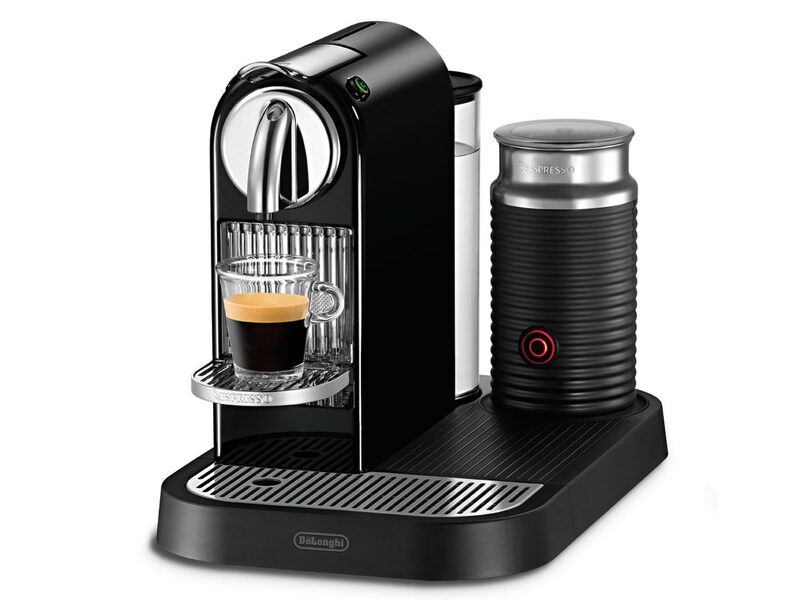 Nespresso.com stocks the company's its full range of machines, capsule refills and accessories. Signing up to the "Nespresso club" (creating an account) allows you to receive regular orders to keep your personal or business machine stocked. 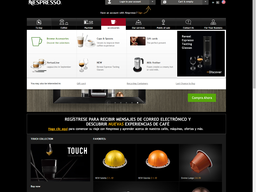 The site's main categories are sorted by Coffee, Machines, Accessories, Services, Business Solutions. Machines fall under the "Original Line" and "Vetuo Line." Both of these lines come in multiple color options and multiple different models that vary in pricing. There are also a wide variety of different coffee flavours. You can mix and match your order from individual capsules or buy bulk packs. Accessories include cleaning and maintenance, dispensers, stirrers, and drinkware. Your Nespresso purchases can be paid with all major credit cards, including Visa, Mastercard and American Express. You can also use their own gift cards. If you wish to use a Nespresso coupon code, simply browse our list and when you see a a deal you like, click on it to be taken directly to the store where you can apply the code during checkout. Simply enter it in to the promo box ahead of payment. Depending on your geographic location you may be served a localized version of the website that will include your local language, currency and shipping options. For example UK customers who go to Nespresso.com are redirected to Nespresso.com/UK and US customers are redirected to Nespresso.com/US. Standard shipping takes only 2 business days within the 48 contiguous US states and 3 to 5 business days for Hawaii, Alaska and territories like Puerto Rico. If you want your order to arrive quicker you can also select Next Day and Saturday Shipping for an added fee. For expensive items like machines or bulk order standard shipping is usually free. From time to time you can also use a Nespresso coupon to get free shipping on any size order. The company operates a 14 day return policy, meaning you must return your unopened items within 14 days to be eligible for a full refund. Unless the item was delivered in error or is defective, shipping costs will be deducted from the refund. Also if you have used a Nespresso discount code you will obviously only be refunded the actual amount charged to your payment method. @alessiogianni We will check, if you give consent we will contact you by phone to confirm as soon as possible. Thanks. @alessiogianni Do you want to keep your client card active or not? @alessiogianni Thank you for your cooperation and for informing us. We apologize for the inconvenience, good evening .